Perfect Food Original Formula supplement is a whole food blend with more greens per serving than other green food formulas. Made with vegetable, sprout and organic cereal grass ingredients, one serving is equivalent to 148.5 grams of fresh grass juice to ensure your body receives the nutritional benefits of multiple servings of fruit and vegetables everyday. 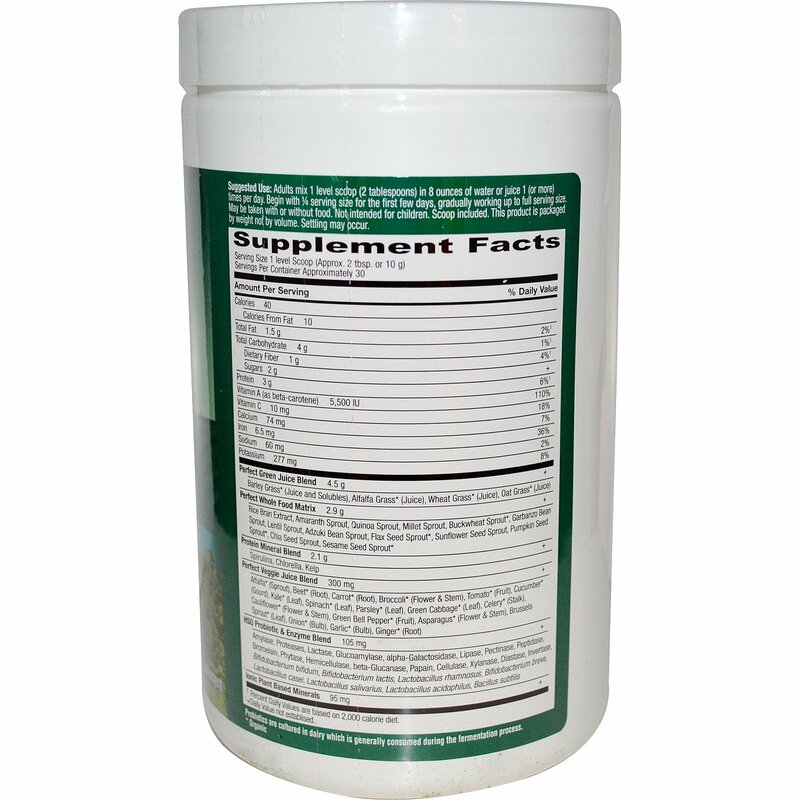 Perfect Food Original Formula supplement contains antioxidant green grasses, micro-algae, sea vegetables, whole vegetables juices, grains, seeds and legumes, plus a proprietary blend of probiotic microorganisms and plant based digestive enzymes. 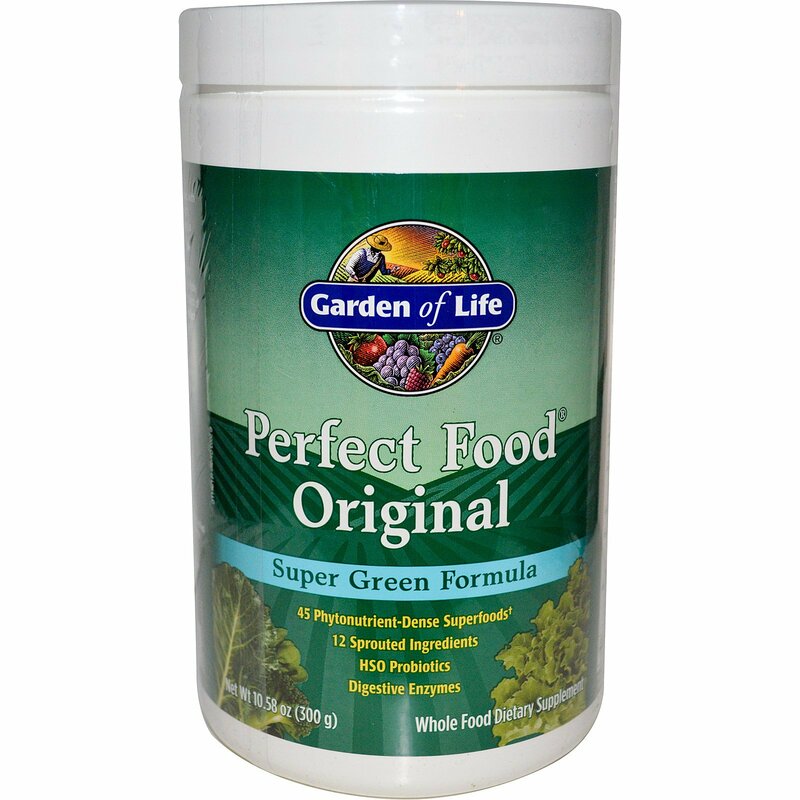 Perfect Food Original is an ideal product for those who are unable to get enough green foods. Adults mix 1 level scoop (2 tablespoons) in 8 ounces of water or juice 1 (or more) times per day. Begin with 1/4 serving size for the first few days, gradually working up to full serving size. May be taken with or without food. Not intended for children. Scoop included. This product is made with natural ingredients, therefore color and taste may vary from lot to lot.